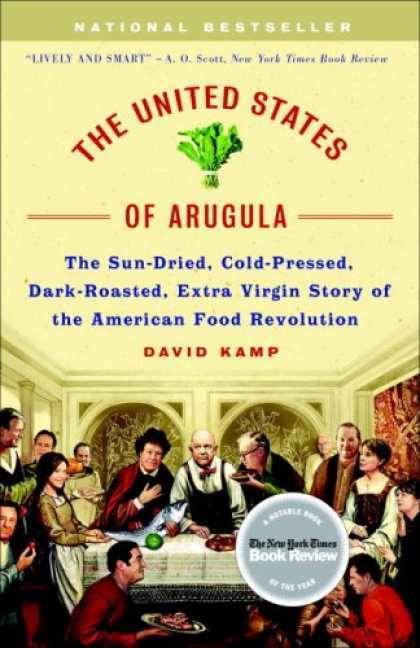 I haven’t done much reading this winter, but I recently cracked the cover of The United States of Arugula. It’s only been on my shelf for 18 months. My generation barely remembers a time when exhaustive food labels weren’t commonplace. We grew up finding colorful produce in the supermarket in the winter. And as I set up my own household after the Food Network had launched a new mainstream food culture into our homes, “artisan” ingredients have become as everyday as a banana—which by the way, I would still qualify as an exotic fruit. I think this is going to be a great read, right up there with Omnivore’s Dilemma and Animal, Vegetable, Miracle. Or maybe even Fast Food Nation? If you’ve read the book, let’s talk after I get through reading it. And if you’ve got some other reading suggestions, I’d love to hear them.